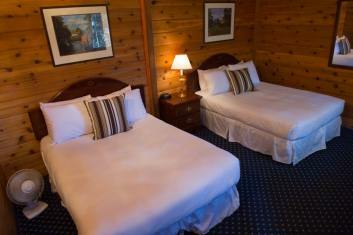 Great Alaska Adventure Lodge - Since 1982, purveyors of authentic Alaskan Adventures! 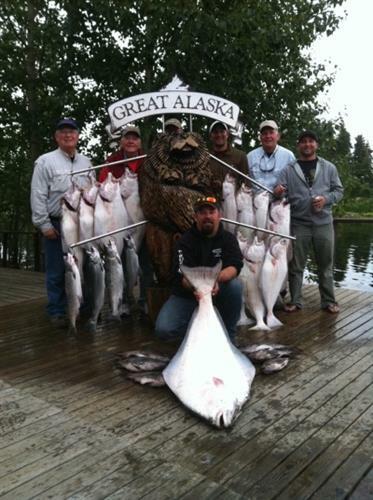 World class fishing with the Kenai's best guide staff, Fy in Bear Viewing at our renowned private camp; day charters for Kenai and Kasilof river King, Silver and Sockeye Salmon; Cook Inlet and Seward Halibut fishing and much more. 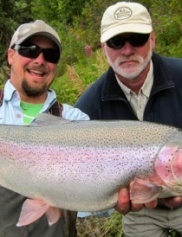 We are permit holders in the revered Kenai National Wildlife Refuge for Trophy Rainbow trout on spin and fly rods. All fishing, All -adventure and our signature Combination trips. Family, group and single itineraries to choose from. 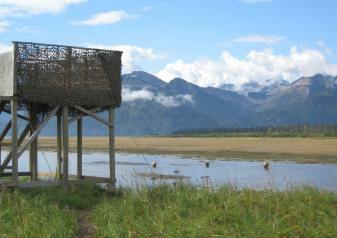 Riverfront cabins with private bath, fireplace and Moutain View, right on the best shore fishing on the Kenai, bar none. Nightly happy hour, fantastic meals and evening activitiies, all included. 135 miles south of Anchorage in Sterling. Southbound, take 1st driveway on left after Moose River Bridge to our 25 riverfront acres. Once in driveway, follow signs to riverfront office to check in.